This authoritative manual presents an accessible 18-step program widely used by clinicians working with challenging teens. Steps 1-9 comprise parent training strategies for managing a broad range of problem behaviors, including those linked to oppositional defiant disorder (ODD) and attention-deficit/hyperactivity disorder (ADHD). Steps 10-18 focus on teaching all family members to negotiate, communicate, and problem-solve more effectively, while facilitating adolescents' individuation and autonomy. Practical reproducible handouts and forms are included; the print book has a large-size format and lay-flat binding to facilitate photocopying. Purchasers also get access to a Web page where they can download and print the reproducible materials. Incorporates 15 years of research advances and the authors' ongoing clinical experience. Fully updated model of the nature and causes of ODD. Revised assessment tools and recommendations. Reflects cultural changes, such as teens' growing technology use. 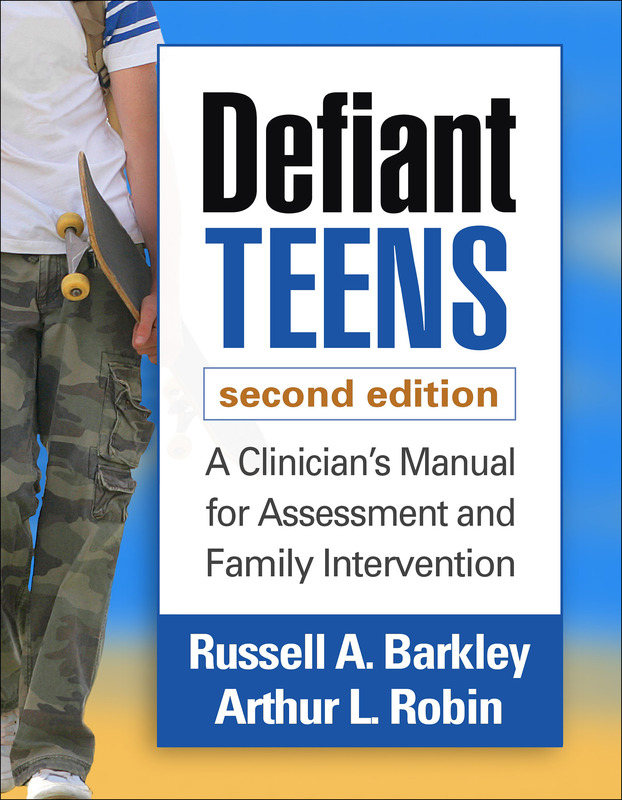 See also the authors' related parent guide, Your Defiant Teen, Second Edition: 10 Steps to Resolve Conflict and Rebuild Your Relationship, an ideal client recommendation. For a focus on younger children, see also Dr. Barkley's Defiant Children, Third Edition (for professionals) and Your Defiant Child, Second Edition (for parents).